“A glider kit is a term for a kit used to restore or reconstruct a wrecked or dismantled truck cab (tractor). All glider kits include a frame, front axle, and body (cab). The kit may also contain other optional components. Basically, a glider kit lets you recycle what works on your old truck (or that newly bought salvage truck). You add a new frame and stick in an older, rebuilt engine. The engine type with no reliability issues and ready availability of parts. You are getting a new truck, at a decent discount. Normally, we here at the Salvage Trucks Blog, would be all over glider truck kits. This is an entire industry that started around re-manufacturing and saving salvage vehicle components. We really don’t have the same type of option in the auto and bike salvage business. However, the world of heavy trucks can be very complicated because of the size of the equipment and how much fuel they burn. In addition, trucks that drive in every State of the Union will have Federal regulation. In other words, there are serious regulatory issues involved in these rebuilds. We will try to explain them as best we can. Meanwhile, to understand the glider kit phenomenon we need to go back to 2001. That was the year that the Environmental Protection Agency (EPA), the National Highway Traffic Safety Administration (NHTSA), and the Department of Transportation (DOT) set new emission standards and rules for “heavy-duty highway vehicles”, vehicles above 8,500 lbs, under the Clean Air Act. They needed to do that in order to minimize pollution including soot and nitrous dioxide. From 2007 on, engines had to be redesigned to meet stricter requirements, including a “50% reduction in the various nitrogen oxides (NOx) produced during combustion and a 90% reduction in particulate matter emissions compared to 2004 standards.” On the other hand, manufacturers responded by redesigning engines and using methods including Gas-Recirculation Systems (GRS) and Selective Catalytic Reduction (SCR) to achieve those reductions. Enter the Glider Kit. It was not so much the original kit itself – which was after all composed by a chassis + cab + rear axle, but the choice of putting remanufactured pre-emission rule engines in them. After all, these were production engines that were grandfathered in by the EPA rules. When overhauling an engine, you only had to make it comply with the regulations existing the year the engine was originally cast. For instance, if you have a 1999 Detroit engine, you rebuild it to 1999 specs. This was a large loophole that industry leaders like Fitzgerald Glider Kits took advantage of. And that made many owner-operators and smaller fleet owners were delighted. They were happy because these older engines were more reliable, fuel-efficient and cheaper than the new models. Those engines were so popular that Fitzgerald and competitors went from selling 1000 trucks in 2010 to 10,000 in 2015. Under the new regulations, glider kits were considered “new” trucks and fell under 2010 fuel economy and emission numbers. Meaning that, a truck leaving a plant in 2018 with a 2003 engine, is considered a 2018 truck. Lastly, gliders were capped to an annual production of 300. And so the Trump Administration begins. New EPA chief, Scott Pruitt, from the beginning of his tenure, sought to turn back Phase II’s restrictions on glider kits. He actively worked on a rule change that would exempt gliders from the Phase II rules. He used a Tennessee Tech University study to back it up. 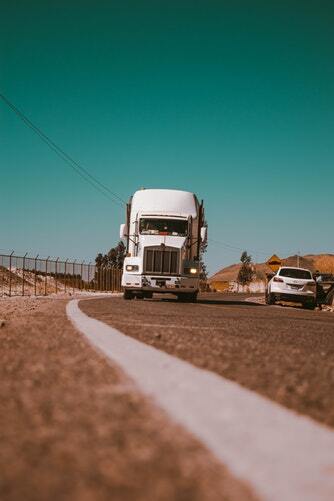 The study found that glider emissions were comparable with those of some newer trucks. It would not be until Pruitt’s final weeks in the Agency, that he formally acted. Pruitt’s letter came with a lot of problems. First, it was a last-minute deal as his turbulent tenure came to an end, amid much controversy and losing the confidence of the President. Then came the controversy around the study, which it turns out was funded by Fitzgerald. Volvo allegedly was involved in a rival study from glide kit opponents. It still hurt the glider kit proponents to have this kind of controversy attached to it. The reaction to the proposal was immediate. A total of 13 State Attorney Generals filed suit to quash the rule change. Also, disparate groups, like the Environmental Defense Fund and Volvo Trucks, joined. This steady source of opposition made incoming EPA Chairman, Scott Wheeler, wary of continuing with the changes. The biggest concern was the possibility of losing the Court challenge. Recap And Where Do We Go Now? 2001- regulations call for stricter emission standards for heavy trucks. 2007-2010 – truck manufacturers put out new engines complying with post-2007 regulations. 2010-2016 – Glide kit makers find a loophole to work around these regulations. 2016 – EPA closes loophole with Phase II regulations. Gliders are new trucks. Can’t make more than 300 gliders. 2017-2018 – New EPA head works on regulations to exclude gliders from Phase II rule. Sets up rule change that basically says EPA won’t enforce glider cap of 300 in 2018 and 2019. 2018-2019 – Opponents file suit, new EPA Administrator, says they will comply with Phase II restrictions, and enforce caps through 2019. Where does that leave us? On the one hand, it looks like finding a long-term solution where glider kits will be exempt from new truck requirements seems tough, given the level of opposition. Not only are environmental groups against it, but also some truck manufacturers and state attorney generals. There will be less sympathy for re-manufacturers like Fitzgerald in Washington. There is a new congressional majority. Next year is also an election year. Let’s just say that we can expect things to remain in limbo for a couple of years more.